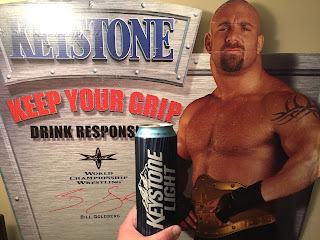 Why would you NOT name Keystone Light as the BWB Beer of the week? 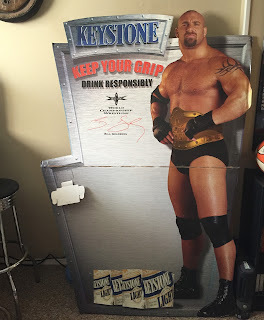 Sure there are many reasons not to, BUT it's cheap AND I have a Goldberg cardboard cutout to help promote it. Those sound like good enough reasons for me, but it always helps when I can tie in the feature of the week with some big news. As you should know by now, it was announced this past Monday during Monday Night RAW that Goldberg would be a playable character in the new WWE 2K17 game this fall. 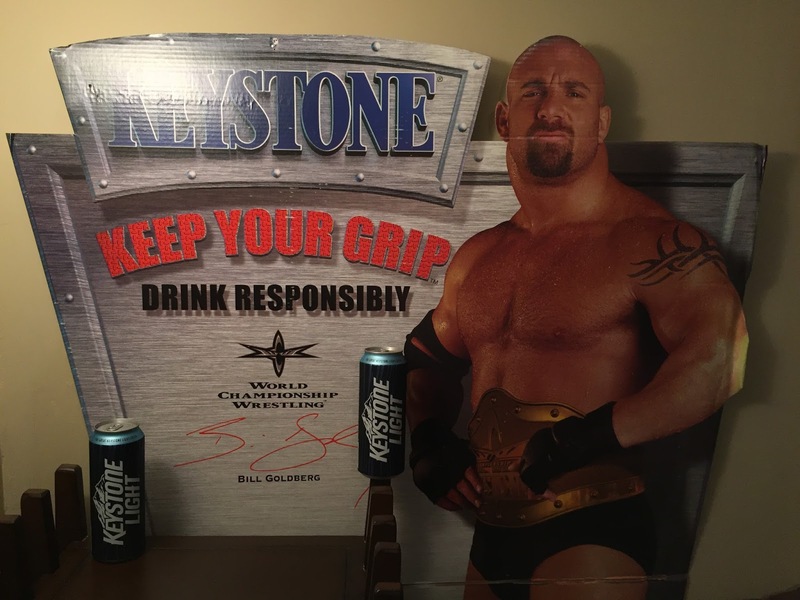 Could this lead to Goldberg returning to the WWE to defend the WCW Keystone Championship that he never lost? I sure hope so! Keystone Light is you standard cheap beer. 30 stones will only set you back a few dollars and is "Always Smooth, Even When You're Not." I think you all have had and know what it tastes like. I would not classify it as terrible and I have had many crappy cheap beers. 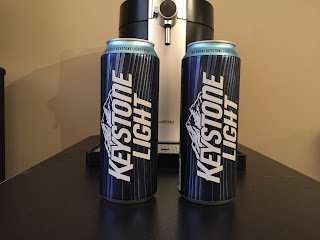 Keystone Light does go down smooth and is somewhat tasteless. It is very similar to Coors Light, and I would rank it as even better. "Brewed by the Coors Brewing Company since 1989, Keystone Light is a triple-filtered American-style light lager. Or as we like to say, it’s the smoothest of smooth. Keystone Light has a clean, crisp taste and smooth finish, making it the beer of choice for those who want to grab life by the ‘Stones. So, what are you waiting for? Stop reading and get grabbing." Tune in LIVE this Sunday at 11pm ET to Bumming with Bobcat! Bring your stones and we will get the party started! Cheers!